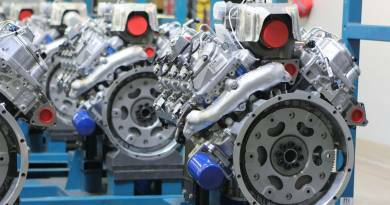 Several years ago, Gale and the Banks engineering team wondered what the future of engine monitoring would look like in 2020. After more than a decade of seeing devices on the market with large rectangular screens using up valuable windshield space with unnecessary graphics, Gale called a timeout (imagine him mimicking a referee, holding his hands in the shape of T). Sure, Banks Power had success with larger format screens too, but it was time to think small. And, thanks to personal electronics like the Apple Watch, consumers now know they can get just as information, or more, in a much smaller form factor. So, the team set out on a quest to pack more technology into a compact package. And the iDash, with its powerful CPU and vibrant 1.8″ color LCD screen, was born. 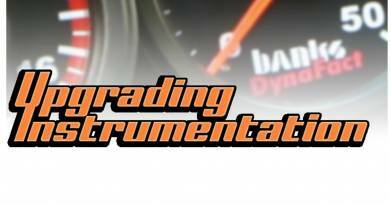 The new gauge was first launched in conjunction with the Derringer inline tuner for the Ford EcoBoost and Ram EcoDiesel trucks. Then, the Derringer tuner for the 2017-19 Duramax L5P was released with such success that they were selling faster than the team could make them. Performance shops called daily in hopes of restocking their shelves. 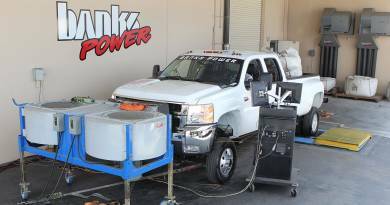 New stock eventually did arrive and hundreds more Duramax owners have enjoyed the tuner’s 61hp and 112lb-ft of additional torque. But what Derringer owners didn’t expect is how fast they’d fall in love with the new iDash. Maybe they’d assumed it was just a fancy digital controller for the Derringer. What they soon realized after playing with it for a few days is that it’s far from a toy. The iDash is a serious instrument, designed to be used by daily drivers and professional racers alike. Owners can choose from a variety of gauge layouts displaying 2-8 parameters at a time per gauge. And with the expanded suite of sensors you can monitor density, pressure, voltage, temperature, and so much more. Starting today, the answer is YES. Connecting an iDash to an existing Banks tuner brings all the data you’d expect and more, while offering it in a much smaller package. Can one iDash control both tuner and SpeedBrake? YES. Can multiple iDash 1.8’s be daisy chained together to display even more parameters? YES, and that’s just the tip of the iceberg. Watch as Banks’ engineer Chris, explains how to quickly add the iDash 1.8 to an existing tuner system as well as its functionality. The iDash for Six-Gun, EconoMind and SpeedBrake is available in two flavors: the iDash 1.8 Super Gauge and DataMonster, a professional data logger capable of recording up to 100 parameters at blazing fast 20 samples per second. The supplied 4GB MicroSD card enables racers to record over 700 hours of continuous data which can be played back right on the gauge. Or, for a deeper dive, the data can be transferred to a computer for in-depth analysis. Racers and enthusiasts who demand accurate engine information will find the iDash provides them with everything they need at a price less than half of the closest competitor. Call or text (800) 601-8072 to find the right fit for your truck.